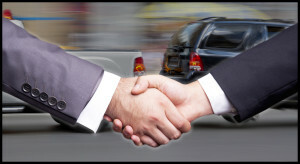 Has the time finally arrived when you’re ready to sell your car and get a new ride? You are going to love cruising around in a new set of wheels but before you can do that you’re going to have to trade in or sell your car and that can be kind of scary. Everyone worries about getting the best deal both on the car or truck they are buying but most especially getting the best price for the car they are selling or trading. Think about it for a moment. The only thing you buy or sell fewer times i n your life than a car is a house, and then you have professional help in the form of a realtor. Most people are not experts in car trading meaning most people are not completely confident they know what they are doing. a trade in, selling direct to a dealer or selling direct to an individual. This is the information age and the more you know the better you can deal. Collect all the paperwork – You’ll want to gather the title, service records and the original sales agreement. You need the title as proof of ownership. If your vehicle still has a lien on it you will want to have the finance agreement available and the current principal balance due. In these days of spark plugs lasting 100,000 miles a service record showing regular oil changes will be a better indicator of how well the car was cared for than the date of a last tune up. The original sales document will give you the detailed info you will need on trim and options that can increase the value. Know your car’s condition – Owners typically overate the condition of their car. A fresh wax job and a thorough vacuuming and they think their ride is good as new. Invest in an inspection report from a local mechanic, repair any serious flaws like cracks in belts or worn hoses and then use the report to both establish the value of the vehicle and as a sales tool. A buyer will feel much more confident about the condition of the car if you can present a recent inspection report. Calculate what your car is worth – Online resources like KBB and Edmunds have fairly detailed valuation tools targeted to specific geographic markets that can help you coming up with an asking price. This is where your original sales document and inspection report will provide you with info that can give you a solid ballpark figure. Run the valuation tools on at least two of the sites to get a range. Shop the offers – If you are trading in your ride just remember that the dealer is both a seller and a buyer in the transaction and they can play with the price of the car you want and the car you are trading in. Get written quotes for both trade in value and new car price and then see if you can get a better deal on your trade in from a company like IQ Auto Buyers who specialize only in buying used cars. In many cases selling the car yourself will net you a lower total cost for your new ride than trading it in. Close the deal – When you have agreed on a price and compensation has been received then you will need to complete the paperwork to transfer ownership. If your deal was with a dealer this is a no brainer exercise that shouldn’t take more than 30 minutes. If you have sold to an individual, you’ll have to check your state’s DMV site to get the appropriate paperwork. Also, with a private party it’s safest to get payment with a cashier’s or certified check…safer and more convenient than cash. Regardless who you sold your car to, don’t forget to take it off your insurance policy. If you are looking to sell your car or truck today, we’d like to encourage you to stop by one of our many locations for a quote. Buying used cars is our only business and we pay on the spot. Give us an opportunity to earn your business.